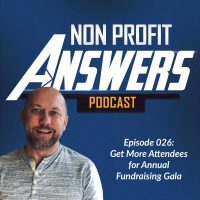 In this special edition of Nonprofit Answers, Jeremy is live at the Christian Leadership Alliance with a timely question. At the conference, a nonprofit leader asked Jeremy how to properly give internal credit for income without causing problems with attribution and to reduce internal fighting over “credit” for donations. Jeremy explains the problem with internal sourcing of income and how they resolved the problem at Food for the Hungry. This week I’ve traveled to the Outcomes conference, the conference put on by Christian Leadership Alliance here in Dallas, Texas. And this conference is for Christian non-profit leaders, teaching a variety of different topics around leadership. I was blessed to be able to lead a workshop on Tuesday, and then a full day intensive seminar yesterday on developing leads to donors. While I was here I was speaking to a non-profit leader, and talking about sourcing of income as a problem. So, one of the issues that I know a number of non-profits face is how do you take income, and appropriately source it to the right department? And so in a lot of non-profits, sourcing that income becomes a point of contention for the internal profit leaders over those departments, such as major donors, [inaudible 00:01:06] partners, church engagement, direct marketing, digital. All of these different areas have a leader, they have an income goal, and they want to meet their goal. And so there’s some debate internally about where that income is sourced to. And so where the problem comes in is that it really creates an unhealthy competition among your profit leaders, because they get a budget goal and need to meet that goal, then they start competing over who gets credit for a particular donation. It also wastes time of people who are responsible for those goals, for searching down donations that come in from different channels, and trying to get the attribution moved to their cost center. The reporting of this then makes for inaccurate return on investment reporting. So for example, if you have a direct mail campaign that goes out and there’s a $10,000 major donor gift in that direct mail campaign, and you move that money out of the direct mail campaign and into a particular donor rep, then you’ve improperly sourced where that donation actually came from, thus decreasing the return on investment of that particular mailing. The counter argument from the rep would be their relationship building is what caused that donation to come in, but if you look at it from an actual donor motivation, or sourcing perspective, it came in from that direct mail campaign, and should be properly sourced to there. There is a solution, there are things that you can do to overcome this problem. So the primary thing you can do is to rethink how you do your reporting. So what we’ve done at Food For The Hungry is instead of a report that moves money around between different cost centers, is we created an income source report and on this income source report it shows where donations come from, and accurately reports them coming from the actual source that they come from. And so with this then, if the $10,000 donation came in from a direct mail campaign, then it would be sourced to that direct mail campaign. But what about those departments that do have [inaudible 00:03:01] donors, where somebody’s building a relationship, and that donation may have been motivated by their building that relationship? Well, in that case we have a case load report that shows the case load that a particular rep has, and all the donors in there. And the total income that comes in from that case load. And so you still have the opportunity to set a goal for people who are working a case load, and for them to manage that goal, but that reporting is then separate from where the income is actually sourced from. You know, at the end of the day the most important thing for you to do is to create a culture internally where everyone is driving towards one single goal, and that one single goal is the total amount of donations coming in. And so when you have everyone driving to that one single goal, then the internal profit leaders don’t care if that $10,000 donation gets sourced at digital, instead of the direct marketing campaign. Or if that $10,000 donation doesn’t get contributed to the goal of the case load donor from the income sourcing perspective. The care and desire is for the organization to raise more money to help more people. And so this will really help in your internal dynamics, because you’ll have less people fighting over particular donations, and fighting over who gets the credit for a particular donation, when the particular donation should have, and should be, attributed to the source at which that person donated from. I encourage you and your organization to really rethink how you are attributing donations, really rethink how you are sourcing income. And to really address the culture of too much competition between departments. It’s unhealthy when you’re trying to meet certain goals, and to raise a certain amount of income to help as many people as possible. I loved this episode (just like all of the rest). I had never thought about the reporting suggestions that you mentioned about showing donations by source and then another report that shows donations by donor rep. This is great; a wonderful solution. I will need to dig in to see how we can do something like that with our reporting system. If you don’t mind sharing, what kind of reporting system do you use and database?